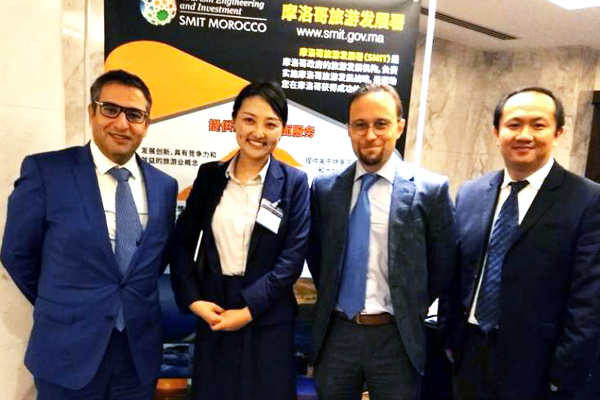 Brief：On 23, October, Moroccan Agency for Tourism Development (SMIT) met investors in Shanghai. 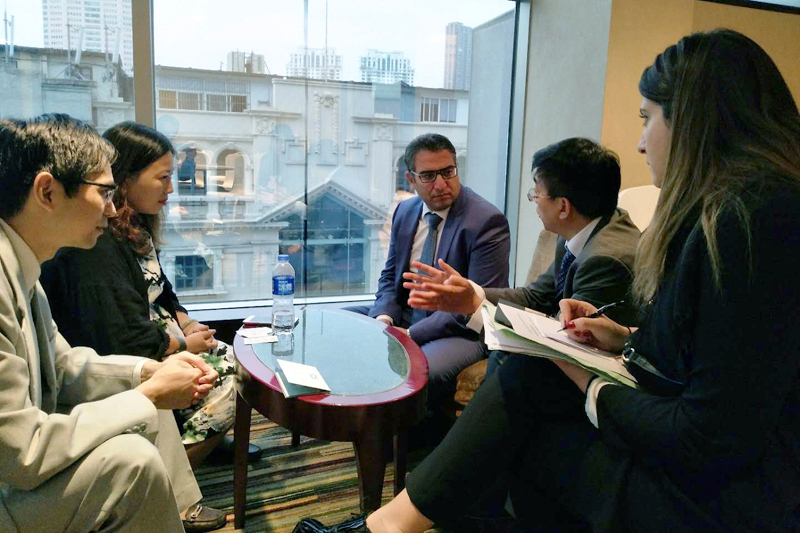 On 23, October, Moroccan Agency for Tourism Development (SMIT) met investors in Shanghai. 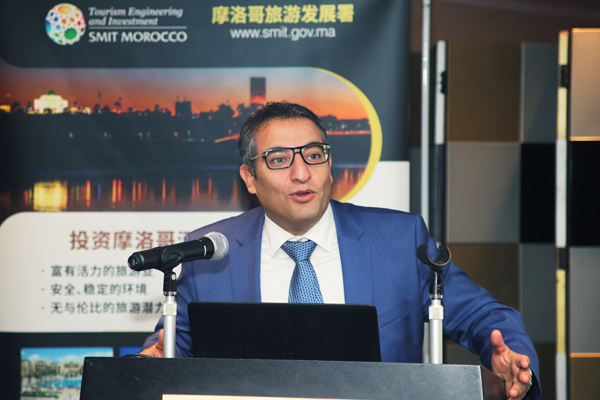 Aiming to invite more Chinese investment to Morocco, SMIT CEO Imad Barrakad said that Morocco had launched “VISION 2020”, a set of very ambitious strategic objectives for tourism development, which offering many attractive incentives for tourism projects. SMIT CEO - Imad Barrakad was introducing the investment climate. 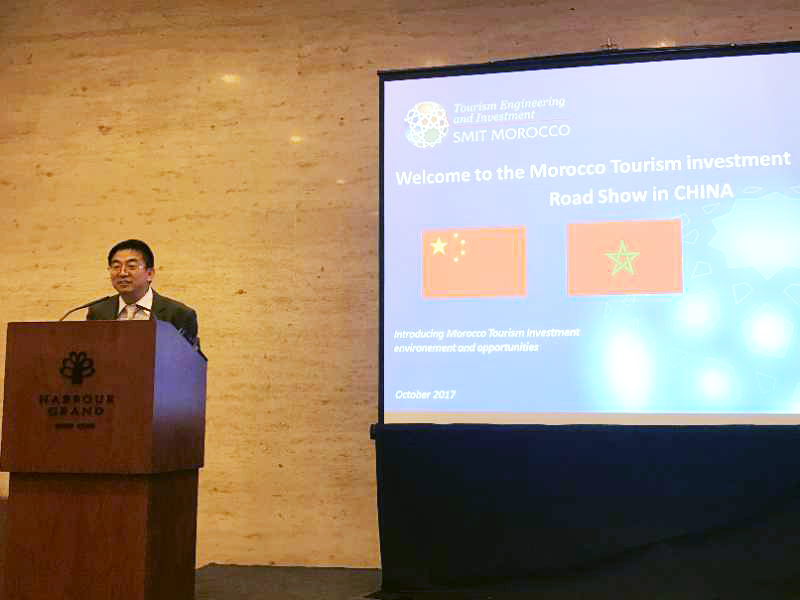 Morocco is an ideal investment destination for Chinese investors, giving that Morocco has a resilient tourism industry, secure, safe and stable environment, unequaled tourism potential, strategic location at the gates of Europe, investors friendly environment, as well as robust infrastructures. 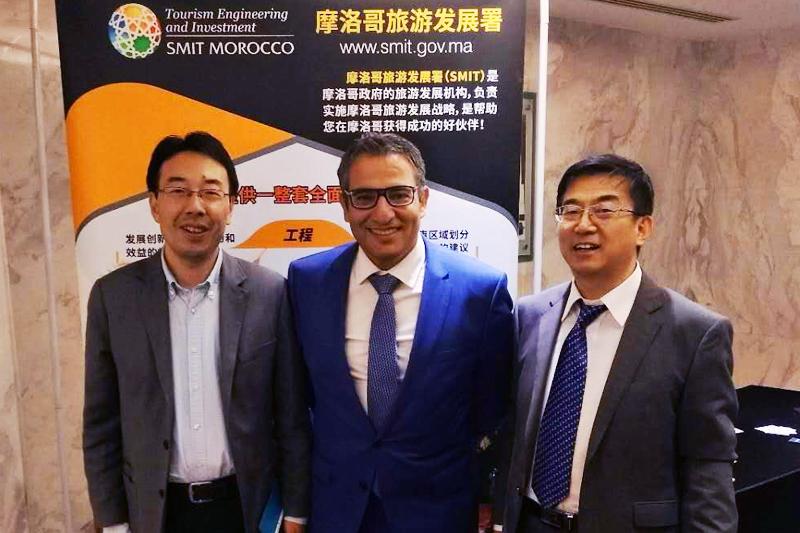 SMIT also introduced its investment opportunities to Chinese investors, including hotel real estates, theme parks and other hospitality and tourism projects in places such as Taghazout Bay, Saidia, Fez, Bouznika, and Agadir. At the event, Chinese investors had in-depth communications with SMIT delegation. This roadshow will be concluded in Beijing On 25, October. Mr. Imad Barrakad was in an interview of a reality show - Chief Traveling Officer. In Morocco, China has made a surge of investments in many economic sectors. Chinese Foreign Direct Investment in Morocco increased 195 percent from 2011 to 2015, with 93 percent increase from 2014 to 2015.